Eugene Aikikai's mission is to develop quality Aikido through enjoyable and whole-hearted practice. By quality Aikido we mean much more than technical expertise. The sincere practice of Aikido is a process of continual growth. We aim to support each student in developing continually as a human being. 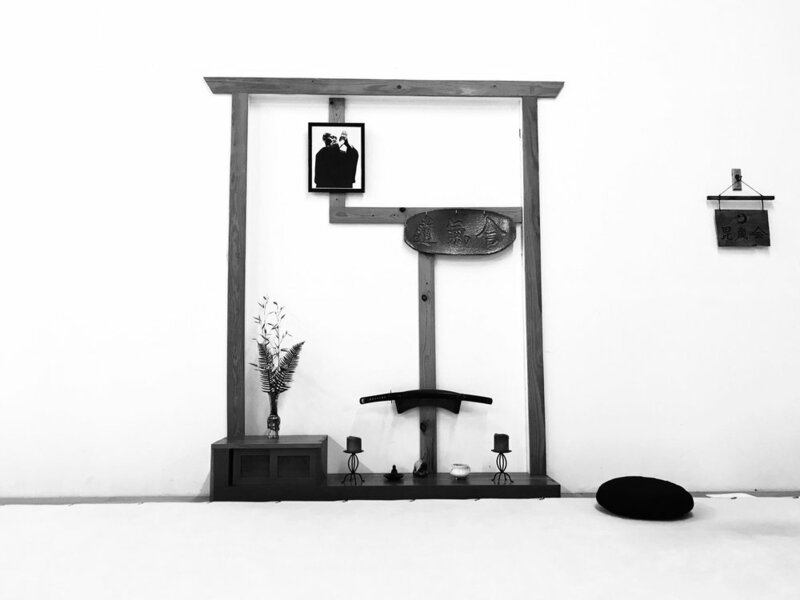 Numerous prominent martial artists in Japanese history came to find Zen meditation a vital element that informed their practice. Indeed, many of the qualities needed in Aikido training - the fearlessness, energy and focus required to plumb the depths of one's own existence in the midst of conflict - are demanded in Zen as well. Iaido is practiced primarily through solo forms (or kata) using a live or practice Japanese sword. We also practice partner forms (kumi-dachi) with bokken. Alongside the purely physical and technical aspects, the art develops focused yet relaxed concentration, as we move through the different forms. Aikido is a martial art that was developed in the early part of this century by Morihei Ueshiba, who synthesized various elements of ancient Japanese martial techniques. His self-defense system allows control of an attacker with minimum use of force, and his training methods promote mental self-control and physical flexibility, endurance and vigor. Aikido is typically practiced in pairs or groups. In addition to techniques using open hand, rolls and throws, Aikido also teaches the use of the wooden sword (bokken) and staff (jo). Training at our dojo is demanding. Everyone gives 100% to trying to learn Aikido while also training to their own ability - and with their own body. We have old, young, strong, physically limited. Whatever your situation, you can practice Aikido. We train within our own limits and because there is no competition, our only obstacle is ourselves. Many people are attracted to Aikido for various reasons. Its sophisticated philosophy and concern for the welfare of all, as well as its true martial approach, attracts a diverse group of practitioners. Thank you for you interest in Eugene Aikikai! We will respond to your message as quickly as possible. If you have an immediate question, please call us during our regular business hours.